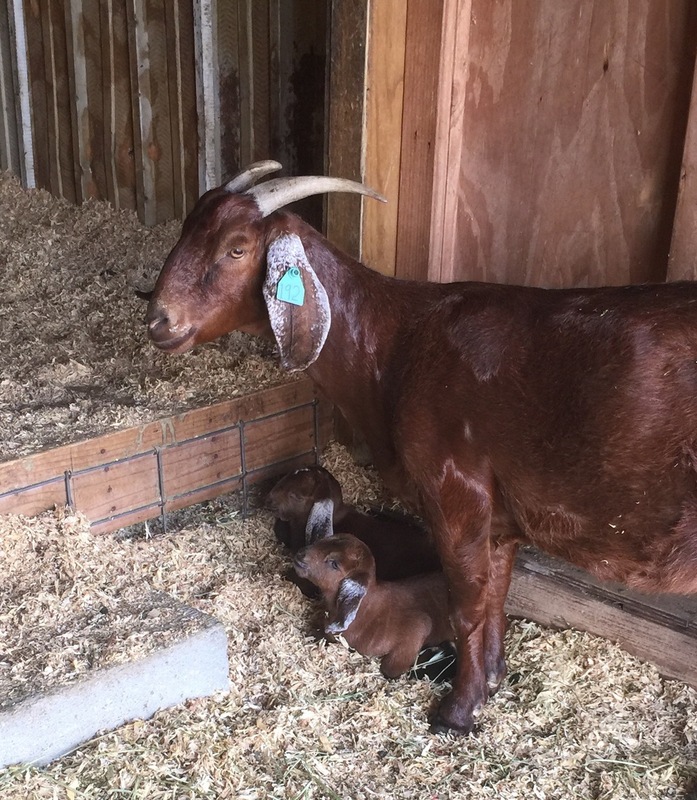 On Sunday May 29, Buttercup gave birth to twins. A boy and a girl. They look exactly like the Mom - all red except for spotted ears. The birthing only took an hour. Mom had them all cleaned up and up and nursing in an hour. The boy was born first, and Mom had a little trouble with him. This is Buttercup's second birthing, so I did not understand what the trouble was all about. Until I saw how big the boy was. This is wonderful. But there was only one problem. I purchased Buttercup in February of this year. And she has not been at B-Haven for 5 months (which yall know is the gestation period for a goat). So I called the breeder and oops, some stray buck spent some time with her. So I do not know the registry of the buck. Buttercup is a percentage doe, so the boy will have to go to the Commercial Auction. I am considering keeping the girl. Oh well, at least I got two kids for free.